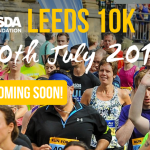 The 2018 Asda Foundation Leeds 10K was inspirational. It’ll be hard to beat, but with your help we know it’s possible. 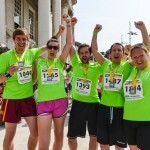 Sign up today for what is one of Yorkshire’s BIGGEST mass participation city centre sporting events. Launched over 10 years ago and now one of the highlights on the region’s running calendar, Jane Tomlinson’s original legacy run is famed for its fun, friendliness and fantastic atmosphere. Thousands of people will be pounding the streets of Leeds on Sunday 7th July 2019. Some will be jogging for charity, some for fun, some as part of a fitness goal and some will be running to smash that illusive PB. However, ALL will be running under our united banner of inclusivity. Remember, it’s not about your time, it’s about crossing that finish line!